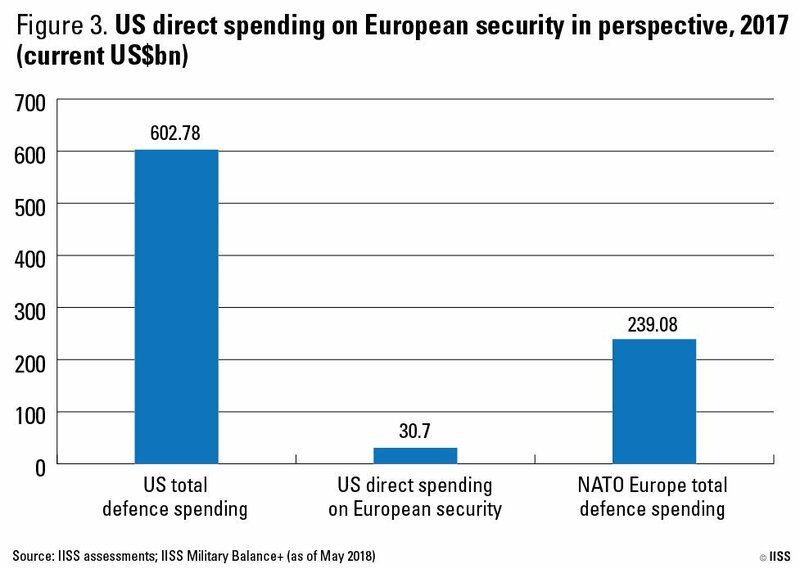 Liberty News Forum › LNF Forums Here › Political Opinion Page - The Hot Seat › - what percent of NATO does the US pay to defend Europe? 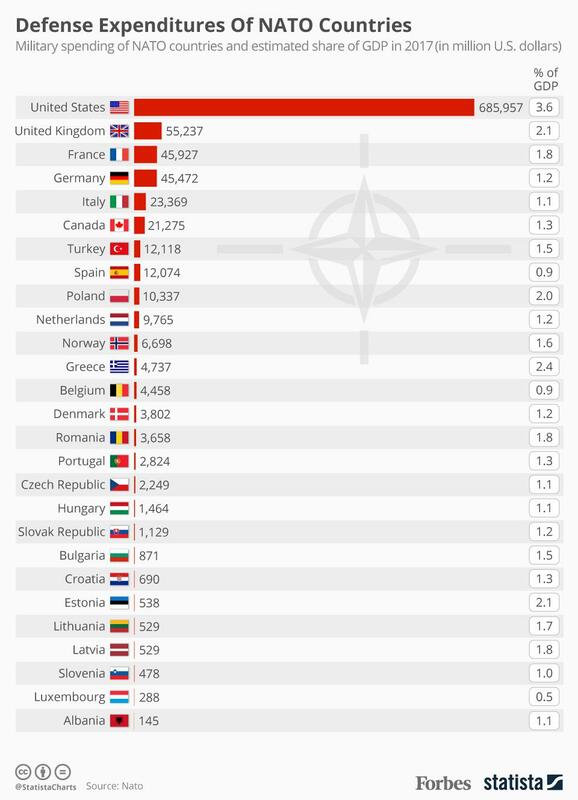 - what percent of NATO does the US pay to defend Europe? Re: - what percent of NATO does the US pay to defend Europe? The NATO rule is that members spend 2% of their GDP on defense. However NATO is not a country club, there is no debt incurred by nations that spend less than that. There is no such thing as a broad NATO defense budget. So Trump's claim that other NATO members owe the US money is false. The NATO countries long ago agreed to spend 2% of their GDP on defense, but few have. Trump is now demanding that they live up to their commitments. Why not these socialist countries we defend like Spain for example? And it is not to defend 'Europe', it is to defend the USA on European soil. About 5% of the US defense budget is spend on that. Can we not defend the U.S. with just a push of a button from here or a Nuclear submarine somewhere? That would be MAD, wouldn't it? I will add to your statement "it is to defend the USA on European soil" 'to help defend that European soil and its inhabitants'. 'to help defend that European soil and its inhabitants'. Are European countries generally "Socialist" Crepe?